It is a wonderful feeling to look in my “pantry” and find fabulous ingredients like poppy seeds, baking soda, cardamom pods, curry, curry pastes, turmeric, smokey paprika, tapioca, fish sauce and an assortment of pickling spices right at my fingertips. This is due totally to all you wonderful folks who for the past several years have asked if you can bring us anything from the States. 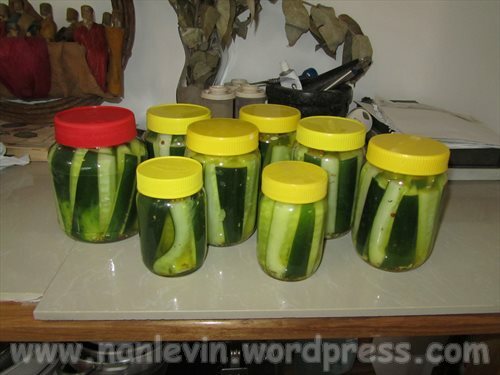 Today’s treats include eight jars of Garlic Cucumber Spears made perfect with mustard seeds, celery seeds, turmeric and coriander seeds all delivered to my door by some of my new friends. I added a bit of garlic, some hot pepper flakes that I previously made and the balance of the dill weed from Mary MacDonald’s garden. 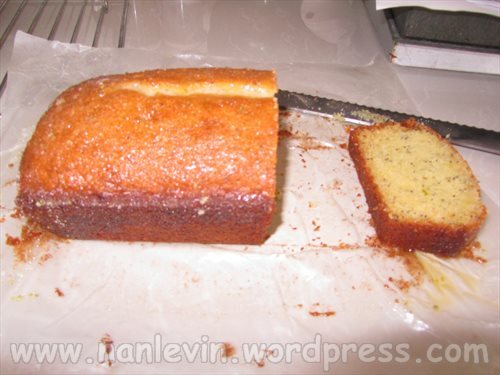 I was in a mood today and so I also made Lemon Poppy Seed Bread/Cake. Oh my it has been a very long time since I have had poppy seeds in the house. These breads did not last very long. Joe and I ate a few pieces even before it was a bit cool, so I started handing out pieces to my neighbors or we would have eaten them totally ourselves. I guess this afternoon Joe and I should go to the beach. I have done all that I wanted to accomplish today so the beach sounds like a great choice for this afternoon. Thank you again to all of you lovely folks that have packed spices and herbs, roots and seeds and all other sort of special item in your luggage to deliver to our door. I cannot express my appreciation for your kindness in making room in your luggage for these items. It truly makes a difference in our daily lives.